Novak Simin for NetCom: "I Welcome the Antenna Criteria Reform Full-heartedly"
Gunnar Erth: Novak, how would you describe yourself in five keywords? Novak Simin: Tough question, I haven’t really ever thought about it. If I had to choose I would say: ambitious, independent, rational, punctual and responsible. Why do you think the Netcom would be the right next step in your AEGEE career? 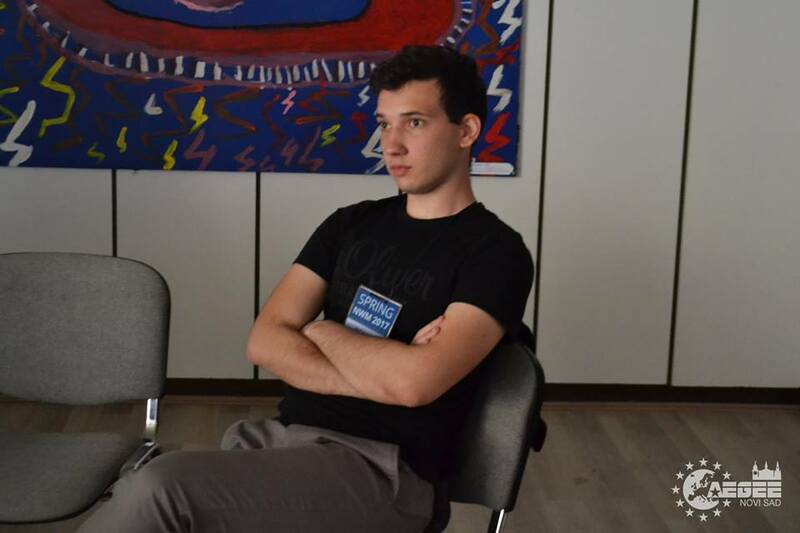 During my time in AEGEE I received a lot of knowledge. I think the time has come for me to be returning or passing on this knowledge to the others. I have taken my steps in AEGEE gradually, slowly taking up new challenges as I went along the way. Being a Subcommissioner for almost a year now, it felt natural taking the next step and candidating for the Netcom. I believe that while being a Subcommie of Marina, I learned a lot about the functioning of the locals and about the work of the Netcom. Something more important: I like working with locals and helping them. I was also given a lot of support from Marina during here term and she encouraged me to run for Netcom. Which is why I would like to use this opportunity to thank her. You want to expand the network. Where in your area would you help founding new Contacts? The first city that comes to my mind is Sarajevo. Being the largest city and capital of Bosnia and Hercegovina I think Sarajevo has great potential for welcoming AEGEE. Being a city with a very diverse community and a large university centre, it would be ideal for a new local. Another one would be Split, as it is the second largest city in Croatia and also a university city I believe it is a shame there isn’t a local. Of course I would look for other opportunities to found a local, however I would like to start with these two cities. How would you revive locals in crisis and deleted antennae? If we are talking about the cities that are currently in crisis of being downgraded or deleted I would contact the current board or any members still being there, try to come up with a recruitment strategy, organize some events, visit them and then work on something if I see as the best solution. If we are talking about cities that have already lost their locals I would first try to establish a connection between some of their old really active members or the last board and see where it all went bad. Then I would discuss with them the possible to help to revive the local. If they aren’t interested I would look for other AEGEE members that are currently in those cities, either for work, Erasmus or whichever the reason, and then try to come up with a plan of recruitment and promotion. I believe that even with the hardest effort made by anyone who isn’t currently in the city it would be close to impossible to revive the local. You want to get inspired by some of the best Balkan events of the past 20 years. Can you give some examples of the most spectuacular events? This might seem a bit biased but one that really caught my attention was an event in Novi Sad in 1998 about the Minorities in Vojvodina, a province in the north of Serbia. The event focused on the culture in the province and how it was effected by all the 26 nations and nationalities living there. The event also had a discussion about Kosovo and the conflict there, as well as what it may escalate into and how it could be prevented, just one year before the Nato intervention. There was also a Case Study Trip organized by a number of locals in the region which lasted for 11 days and focused on the former Yugoslavia countries, what it was like in Yugoslavia for them and how they stand in the present. 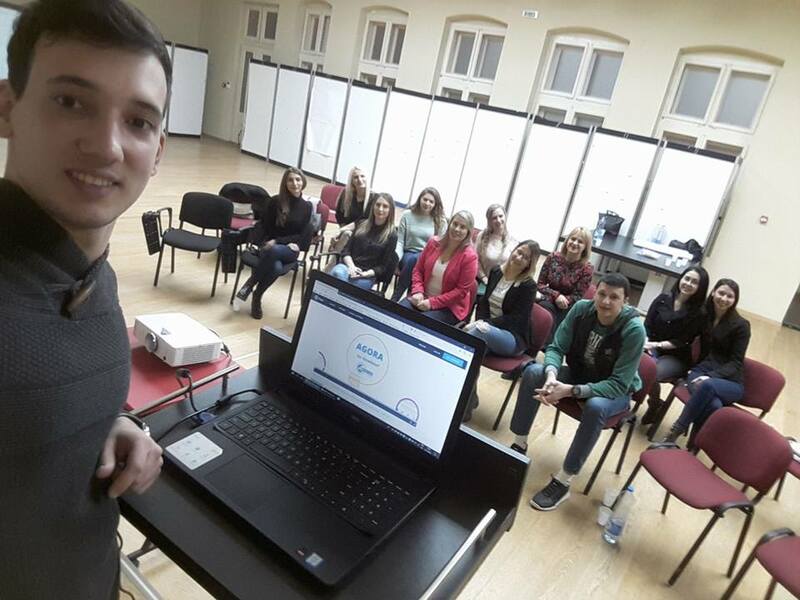 Participants visited Slovenia, Croatia, Bosnia and Hercegovina, FYR of Macedonia and Serbia, where they were given lectures by either politicians or university professors about the topic. What fascinates me is how professional this looked, how well it was planned and the scale of the project – it was something that apart from the SU now we don’t have. 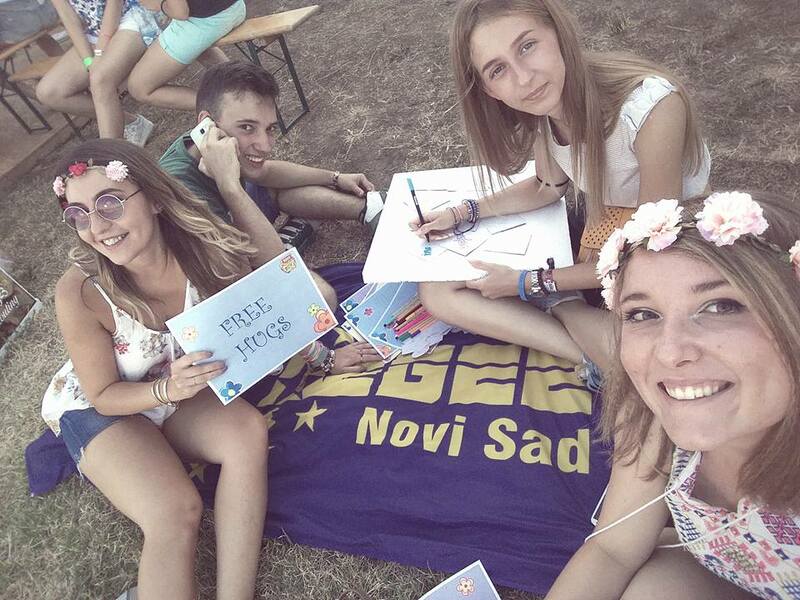 While I can’t talk about all the events, I would like to mention a few more, a training conference by Belgrade and Istanbul that lasted for almost 20 days, an 80-participant Easter event by AEGEE-Zagreb or a conference in Split. Aside from this, which new topics would you suggest and motivate locals to turn into events or even international projects? I would like to see more discussions on international cooperation. A part from the SU organizing locals I don’t see that many locals work together on a joined project or joined events throughout the year – that’s a pity if you ask me. I would like to motivate locals to have more events organized together. One topic I believe we’ve put aside would be migration. I am not just talking about the Migrant Crisis which is still ongoing, but rather about migration between European countries themselves. We see more and more people leaving their home countries and going to other, for work, studying, or any other reason and not coming back. This has a huge effect on society and I would like to see locals and AEGEE in general putting an effort in discussing this and creating projects related to migration. Many locals don’t really care about the topics of the Focus Areas. What do you do with them? Push them anyway to do an Action Agenda related event? Of course not. Locals are the core and soul of AEGEE and if they wouldn’t want to do something or aren’t interested in something I can see no reason why try pushing them. There are two different questions we need to tackle when it comes to the Action Agenda, one being whether it is well planned and something that could and should benefit AEGEE, while the other one would be whether the locals are interested in it. In my opinion the first question shouldn’t even be discussed if the answer to the second one is that the majority of locals aren’t interested in it. If that is the case I think we are just wasting our time and energy trying to push something that there is a lack of interest in. Though most of my fellow ACTies wouldn’t agree with me and would probably hate me for saying this, but I really believe that we need to ask ourselves is Action Agenda necessary or should we just drop it if locals don’t really care about it. Many locals especially in the Balkan countries don’t always have the best knowledge transfer and international cooperation. How can that be improved? I believe the solution to the knowledge transfer problem can be found in two ways. One would be pairing a less experienced local which didn’t have a good knowledge transfer to another local which is experienced. The board members from one local can advise the others with the help of the Netcom and Subcommie team. Another solution to the problem could be creating a joined platform or database for knowledge transfer, one for the entire area for example, so that even if one local lost its connection to their previous teams they could still find helpful information on this joined database. When it comes to international cooperation, I believe that in the Balkans we lack more regional events or at least one event other than a NWM where we could gather, get to know each other and plan activities or events together. You said in your programme that you saw how much we aren’t doing in AEGEE. What precisely is missing and how do you want to implement it? I would like to see more externally focused projects done by AEGEE. In ACT I worked with Action Agenda and I couldn’t but wonder why the Action Agenda isn’t functioning as well as it should be and why the locals aren’t that interested in it. One of the issues might well be that we are too internally focused. What is the point of setting goals such as the Action Agenda if we keep them focused on ourselves. I don’t believe we are missing much, I wouldn’t say that I would like AEGEE to change, however I would like us to stop going back to the same things and keep focusing tons of our energy on structural problems, struggle with the AEGEE identity, discussing whether we should bring back something we changed a while ago, but rather focus on what we are now and what we can do with what we have, not keep thinking how we can change it. Can you imagine an Agora where instead of discussing proposals about changes in AEGEE we would be discussing ones about new future projects? You were ESN member and want to implement things from ESN to AEGEE. What precisely? 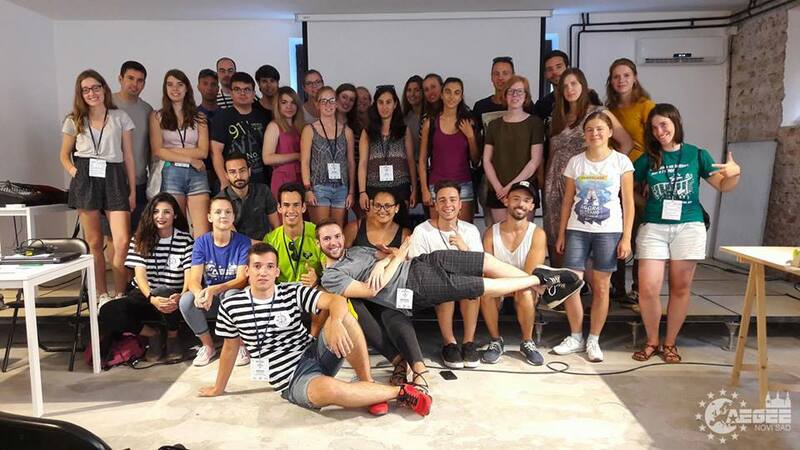 ESN in my opinion is a student organization that most resembles AEGEE, both in its focus on youth policies and international cooperation and promotion of European Culture, also both are interdisciplinary. A thing that differs us is the bureaucracy, most notable to me was the fact that it takes an average of three months to found a new “section”, as they call antennae in ESN. At the moment ESN has somewhere around 500 sections, much more then AEGEE, and even though one could argue that because they are liberal in founding sections they also have a lot of them dying fast, I believe this is what is driving their network forward. Therefore I would like to see a similar change in AEGEE. The amount of time it takes to get from point zero to antenna in AEGEE is slowing us down and I believe we need to reduce this time. Another thing that I liked in the functioning of ESN is the national level; knowing this is strictly going against the core values of AEGEE I am well aware we cannot implement it, however I would maybe like to see a stronger connection between locals in areas. This is where my idea about reintroducing local couples came from. You organised several Network Meetings. How would the programme of the perfect NWM look like? What I noticed during the organization of NWMs is how much we lack free time during them. Though they last just for a few days, we have so much to do during them… I don’t think they need to be so fully packed with activities. Therefore, if it was up to me I would have them divided in a kind of obligatory part that should be attended by everyone and then a part where you could choose between workshops, some collective activities or free time. Meaning that for example in the morning we could have an obligatory part, than prior to lunch and after lunch free time, non-obligatory sessions or some fun activities while in the evening we would be expected to come all together to finish the day, before going to dinner and social activities. What do you think about the antenna criteria proposal proposed by CD? I welcome it full-heartedly. 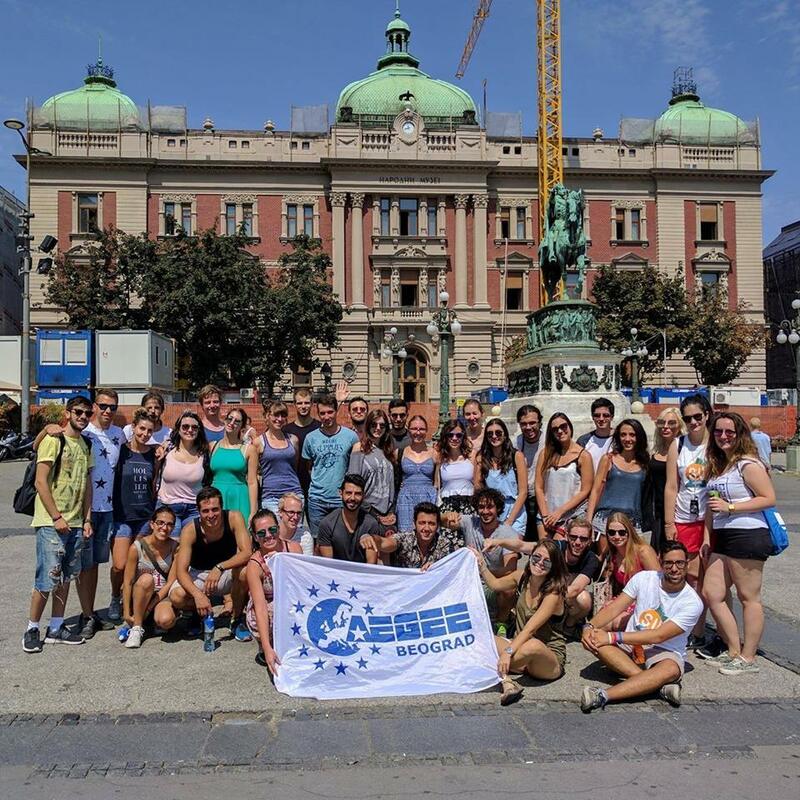 As I have already said: one of the things I liked in ESN is the fact that when it comes to becoming a section, you do not have to pass so much bureaucracy as in AEGEE and that I would like to see to come to AEGEE as well. I believe this to be a step in the right direction, however a change on this scale would have to be observed through time. I hope the proposal will be accepted by the members. If you ask me I would work on it even more, reducing the antenna criteria even more, though not yet, first I would like to see how the current format will stand.